VIDEO: "Uzun Ince Bir Yoldayim"
"Hailing from Turkey, vocalist Nazan Nihal and pianist Utar Artun mix traditional sounds and songs with modern shapes and effects .... The traditional lyrics make for intriguing thought, while the modern hope for unity and love come at a crossroads in Turkey’s historic path." "... Neotolian Song is more than a blend of different music genres, it is a superb example of how you can take one musical tradition and use it as the foundation to create something new, while maintaining both the integrity of the original work and that of its embellishments .... Listening to this album I heard everything from elements of gypsy swing jazz in the style of Django Reinhardt, bass riffs that reminded me of Charles Mingus, oud playing evoking Egypt, flutes that mixed jazz and sounds more haunting than can be imagined, not to mention some of the most spectacular singing I've heard in a long time. While this may well be a homage to Turkish music, in all its shapes and forms, it is also an example of how different styles and traditions of music can work harmoniously together." "Neotolian Song is the work of a multitalented, multicultural ensemble who showcases their experience and versatility .... look for a copy of [this] extraordinary album..."
"Haunting and nearly other worldly at times, it draws from all parts of the region and stirs it into a heady mash up .... Clearly an ear opening listening experience, it moves linearly to it's own drummer never making the path too hard for outsiders to follow." "Though the music ranges far and wide in geography and genre, the group keeps its Turkish heart. Traditional songs, modes, and sounds inform all the tracks, though never in predictable ways." "The 16th Annual Boston Turkish Festival ended their festivities with Neotolia’s release concert for their new CD, Neotolian Song. Many distinguished artists joined Neotolia as guest musicians, leaving the audience thrilled and content as they left the venue, looking forward to next year." (Translated from Turkish). "... the duo at the heart of Neotolia frame musical traditions of their homeland in late-20th-century settings that suggest everything from ethereal prog rock to the exoticism of Dead Can Dance. Vocalist Nazan Nihal rises from mellow to intense in a pulse beat while pianist Utar Artun weaves the fluid forms of jazz through many numbers. Neotolian Song is rooted not only in the idea of Anatolia as an East-West crossroads, but as the ancient home of many peoples—Turks, Kurds and Armenians among them." "Turkish-born/Boston-based vocalist Nazan Nihal and pianist Utar Artun are amazing in their own right, and when they join forces with world musicians from places such as China, Iraq, Finland, the USA, and the Near East, they are spectacular. Thoughtful arrangements abound. This is a triumphant release." "Nihal’s soprano voice soars operatically, then settles smoothly into her chest register as she sings, “Souls wither in time unless watered by love.” This “Once Upon A Life” composition touches my heart. Much of [this album] reminds me of the prayers I heard during my travels to Turkey, Palestine and Dubai." At the meeting point of Eastern Europe, Western Asia, and the Mediterranean - a region steeped in thousands of years of rich, complex human history - is a land where antiquity and the deep, artistic wells of innumerable cultures mix with the modern world. The earth here feels older than time itself: dripping with stories of spice, civilization, conquest, and our shared human journey; tinged with the golden light of the eastern sunrise. This is Anatolia. This meeting of worlds is the inspiration for Neotolia - an international ensemble of diverse, highly skilled musicians led by composer & pianist Utar Artun and singer/songwriter Nazan Nihal, both from Turkey. Together, their vision is to bring rare and traditional aspects of Turkish music and aesthetics to new life by fusing it with contemporary jazz, world music, improvisation, and microtonal theory. The result is a quintessentially Turkish sound mixed with cutting-edge groove. It is a new (“neo-“) vision of Anatolia: with one ear towards home and the other listening far outward. Thus, Artun and Nihal have enlisted musicians and friends from the world over to add their voices to their complex - yet elegant - compositions. The artists on this album hail from Sweden, Finland, Italy, Lebanon, Turkey, China, Iraq, Palestine, the United States, and more. It is through this artistic synthesis that Neotolia aims to inspire listeners and composers across the world. On their latest album, Neotolian Song (Interrobang Records; release date: April 23, 2017), the Turkish-born duo imagine lost ancient languages (“Neotolian Song”), mourn those lost to terrorism (“Değişmek Cesaret İster/ Change Takes Courage”), and weave new emotion into striking folk songs. Turkish traditional instruments like the qanun, ney and oud, Western and Eastern strings (violin, cello, erhu) join a core quintet (Nihal voice, Artun on piano, Jussi Reijonen on guitars, Bruno Råberg on bass, and Giuseppe Paradiso on drum kit). “We tried to make a kaleidoscope of different colors,” notes Artun. “We use African and Indian elements, jazz and American grooves, Eastern European scales, Turkish makams, and more. We aim to break down any and all musical prejudices and hierarchies - whether they are based on nationality, class, ethnicity, or otherwise. We believe music should go beyond such limiting classifications and embrace more creative freedom”. 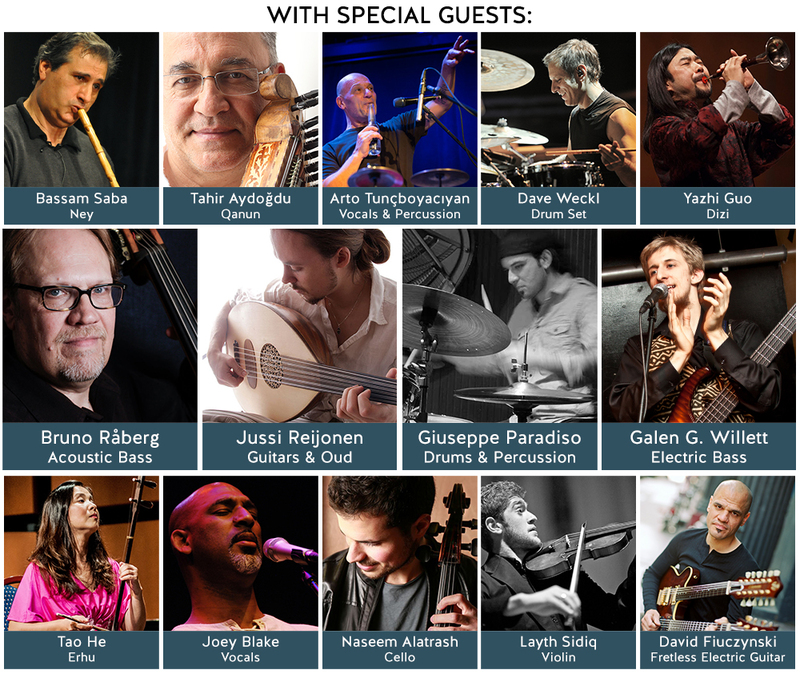 Other songs were enriched by master artists: Turkish-Armenian Grammy-winning avant-garde percussionist Arto Tunçboyacıyan and world-renowned drummer Dave Weckl on “Thrill of the Chase;” longterm Bobby McFerrin Voicestra member Joey Blake on “Rondo Afro Turca;” and Guggenheim Fellow and microtonal guitarist David Fiuczynski on “Degmen Benim Yasli Gonlume.” Their contributions, as well as the quintet’s elegant, exploratory approach, are featured in three videos the ensembles has created to accompany the recording. In writing lyrics, Nihal also draws from diverse sources such as traditional Turkish folk music, ancient Lydian poetry, modern popular styles, and even her own invented language of Neotolian. “When we’ve performed these songs in concert”, Nihal recalls, “people in the audience often were in tears - without understanding the words! We were shocked at the positive, profound response. It shows that meaning may not be as important as the message you’re sending from the heart”.